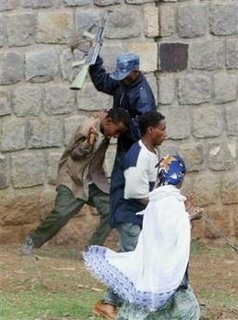 The Meles Regime in Ethiopia massacred 193 democracy protesters last year after elections in Ethiopia, according to a report by an investigating judge. 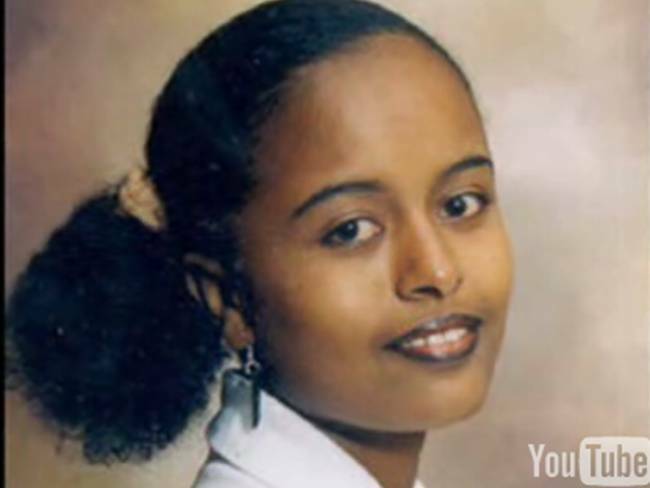 College student ShiBire DeSelegn was the first one to die when Meles unleashed his forces. A high caliber bullet pierced through her neck. Ethiopian security forces massacred 193 people -triple the official death toll – during anti-government protests following elections last year, a senior judge appointed to investigate the violence said Wednesday (List Here). 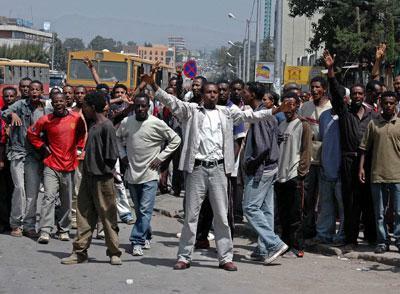 Unarmed protesters were shot, beaten and strangled to death, said Wolde-Michael Meshesha, who was vice chairman of a government-backed inquiry but said he has fled the country after receiving threats. He said he believed the Ethiopian government was trying to cover up the findings. Ethiopian officials refused to comment on the claims. “There is no doubt that excessive force was used,” said Wolde-Michael, who left the country last month after receiving anonymous death threats, leaving his wife and five daughters behind. He is now claiming asylum in Europe and would not disclose his exact whereabouts out of fear for his safety. The Meles government is blocking the release of this report in Ethiopia. I am a Canadian citizen who has just returned from Ethiopia where I was working with 2 American journalists. My initial intention was to research a specific aid initiative, but instead found myself immediately consumed by the unfolding political events. I am writing to share my deep concern about the current political situation in Ethiopia and the severe and ongoing human rights violations that are occurring there. In the past month, I have witnessed increasing police (government) brutality in response to the publication and distribution of an Amharic Book called “The Dawn of Freedom” written from prison by (mayor elect) Berhanu Nega. Though there has been no ‘official statement’ issued yet regarding this book, it has become a serious crime punishable by severe beatings and arrests/imprisonments to have one in your possession! There were frequent ‘random searches’ throughout the city, and almost nightly road-blocks, serving the same purpose. I have also heard disturbing stories–from very credible sources–of children who were caught selling the book in the street being mercilessly beaten. However, despite such oppression, the book is rapidly circulating throughout the country. It seems everyone in Addis had a copy (necessarily disguised, of course) or had read it. At least 9 secret study groups to discuss this book’s content had started up throughout the city. Through our random interviews of people locally and observations of events, we learned that this book (not yet available in English) is a political manifesto of sorts—outlining the democratic principles of the CUD opposition party–and an inspirational message of peace and hope that urges all citizens to take individual responsibility for their freedom. It was truly amazing to see through Western eyes the kind of hope and courage this book so quickly inspired throughout the country! In the past few weeks, a ‘civil disobedience’ calendar has also been released—suggesting 14 non-violent actions such as boycotts citizens can take since peaceful public demonstrations are no longer possible. It too is being circulated throughout the country, and the government response has been equally severe. It is reported that 3 students have already been killed for merely ‘distributing the calendar’, and dozens more are arrested everyday. I just learned that a business man and a friend of Berhanu Nega whom we met in our travel, Allemayou Fantu, has been arrested on 10/05/06 on grounds of ‘distributing the calendar’. This is a complete farce and appallingly unacceptable! We are very concerned that he has been or will be tortured as he was reportedly taken to “Enkulal Fabrika”, a notorious ‘torture chamber’ we learned about during my trip. 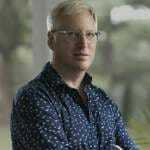 I ask you to please call your government officials in the world for their intervention and to press for his release. Such extreme and brutal government actions simply cannot be allowed to escalate like this–there MUST be international intervention! I am growing more concerned everyday for the safety of many good friends I met there that remain in the country. As a Canadian citizen with no former ties to Ethiopia, I am absolutely shocked and deeply saddened by what I discovered in this country. I am currently in the process of compiling a report on our findings and will share with the public at large just how urgently the situation requires an international intervention. Meles is a close friend of Jimmy Carter which explains why Ethiopians protested at Carter’s book signing in Minnesota lAat November.